An Afghan soldier reportedly killed three U.S. troops — and injured another American and an Afghan — in a so-called “insider attack” in Nangarhar province, Afghanistan, on June 10, 2017. The attack took place in Acchin district, where U.S. forces have been battling Islamic State militants. On April 13, 2017, the U.S. Air Force dropped one of the world’s most powerful non-nuclear bombs on Acchin in an effort to destroy ISIS tunnels and infrastructure. Around 39 ISIS fighters died in that attack. The U.S.-led coalition confirmed that the soldiers were killed on June 10, but did not specify that the attack was an inside job. “Three U.S. service members died as a result of wounds suffered Saturday when they came under attack during an [Afghan National Security Forces-] and U.S.-partnered operation in eastern Afghanistan,” the coalition stated. Media reports have named the American victims as Sgt. Eric M. Houck, Sgt. William M. Bays and Cpl. Dillon C. Baldridge. White House press secretary Sean Spicer also confirmed that U.S. president Donald Trump was following the situation. The Taliban claimed responsibility for the attack in several messages the group posted on social media channels. The militants claimed that the attacker was in fact an Taliban infiltrator — and identified him as Obaidullah from Kunar province. The Taliban also shared a photograph of the attacker. Taliban spokesperson Zabihullah Mujahid claimed that four U.S. soldiers were killed and several wounded. “Amid the ongoing annual campaign ‘Operation Mansouri,’ an infiltrator mujahid in the ranks of enemy forces opened fire on U.S. troops that were embedded with their hirelings in Lata Band area of Achin district, eastern Nangarhar province,” Mujahid wrote. Note — the Taliban is known to take liberties with casualty figures, which are not easily verifiable. Notably, though, Mujahid claimed that Taliban fighters have infiltrated Afghan security forces. “American invaders have embedded with their hirelings in most parts of the country, for which the mujhideen have launched counter measures as many infiltrators are awaiting their chance to carry out such an attack behind enemy lines,” Mujahid stated. Foreign troops in Afghanistan are no stranger to insider attacks. A similar incident in March 2017 wounded three U.S. soldiers at Camp Antonik in Helmand province. In May 2016, an Afghan soldiers killed a Romanian Special Forces commando. In a possibly unrelated incident, the coalition confirmed that Afghan soldiers were killed while on a joint operation with the U.S. forces in Helmand on June 9, 2017. “During an [Afghan-] and U.S.-partnered operation, fires resulted in the deaths and injuries to members of the Afghan Border Police,” the coalition stated, adding that an investigation was being conducted into the incident. The Taliban has conducted several major attacks as part of its 2017 spring offensive — a.k.a. Operation Mansouri. Namesake Akhtar Muhammad Mansour, a Taliban mullah, was killed in a U.S. drone strike in Pakistan in May 2016. 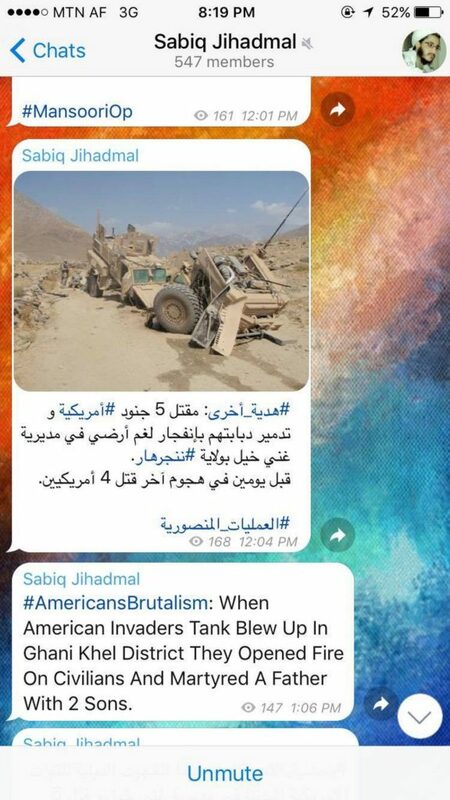 On June 12, 207, the Taliban claimed to have conducted another attack on a U.S. convoy in the Ghanikhel district of Nangarhar province. The group also claimed that U.S. forces fired at and killed civilians during the attack. Khogyani confirmed to War Is Boring that three civilians — a father and his two sons — indeed did die in the fighting, but did not specify who killed them. These attacks come at a time when the United States is considering sending more troops to Afghanistan following years of draw-downs. The Taliban has gained significant ground in Afghanistan since 2016. Meanwhile, ISIS has made its own in-roads in the war-torn country. 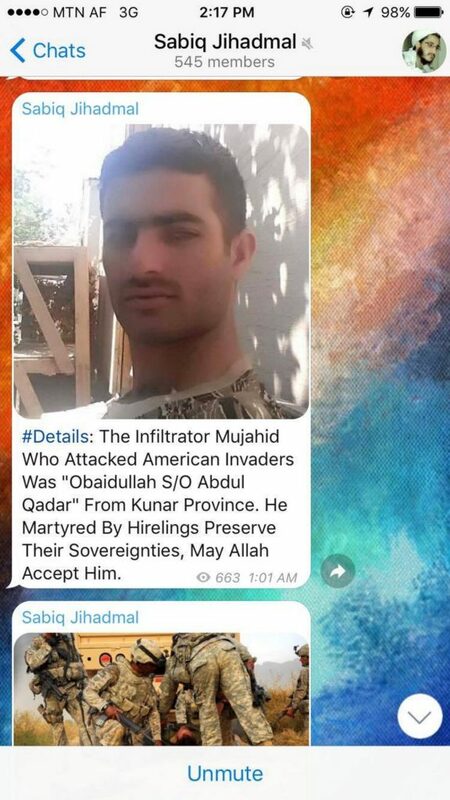 “How does U.S. hope to ‘win’ or achieve ‘#Afghanistan good enough’ when SOF keep killing them, 4 killed by this infiltrator today,” a Taliban spokesman tweeted.